Age Categories – 12 years to 44 years and 45 years to 85 years Male and Female. Total 36 Trophies will be up for grabs for Winners. Premier Tickets is an online event marketing and ticketing agency. Premier Tickets will NOT be responsible for any changes related to the event schedule, artist, venue or cancellation and refunds related to the tickets for Thane Half Marathon-2nd Edition. 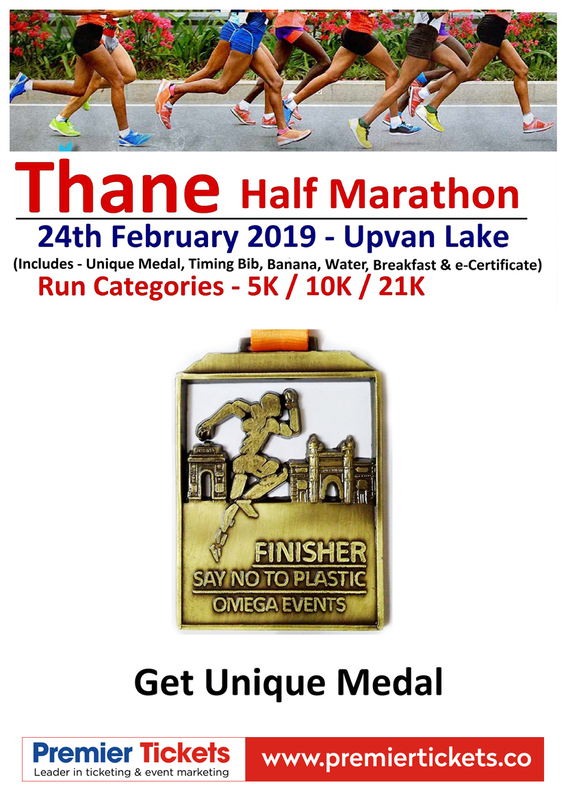 Premier Tickets is proud to be the online ticketing partner for Thane Half Marathon-2nd Edition.